Peaceful…family friendly…well maintained…safe. These are all words people in Fairfax, Edmond OK use to describe their neighborhood. If you love a close-knit community with walkability, high-end homes and clean public spaces, Fairfax Estates would be a great place for you to settle down. Click here for homes for sale in Fairfax. 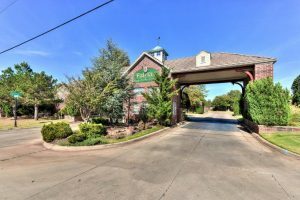 Located in Edmond Oklahoma, Fairfax is an affluent golfing neighborhood nestled at Coltrane and Covell in northeast Edmond. 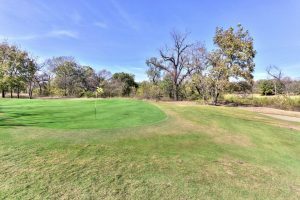 It’s just two miles from I-35, making it easy to play a round of golf in the morning and get to downtown Oklahoma City for work in the early afternoon. Devon Energy, Chesapeake Energy, or Tinker Air Force Base are major employers of Fairfax residents. Home to just 600 residents, Fairfax is located in close proximity to many restaurants, grocery stores, department stores and recreational activities — namely golf. 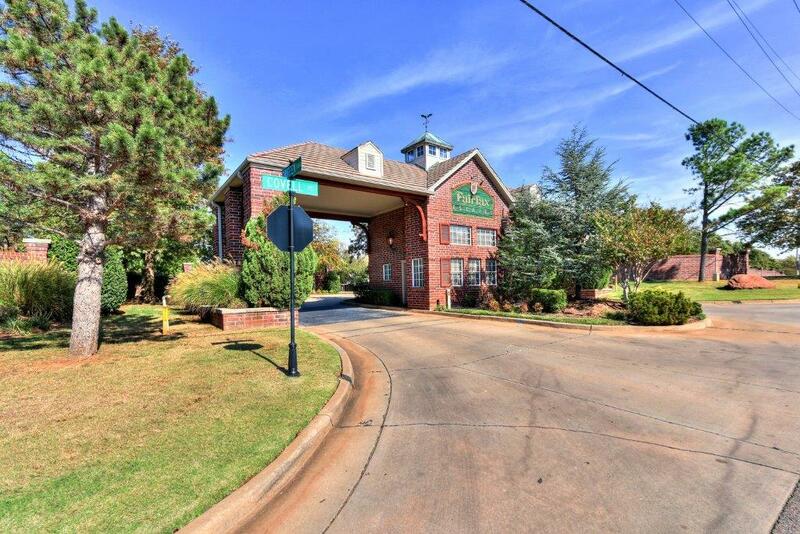 In fact, the Golf Club of Edmond is the pride and joy of this exclusive Fairfax Estates Residential Development. Home values in Fairfax continue to rise year over year. Ho mes in Fairfax command prices of between $250,000 and $1,250,000, with living spaces of up to 4,500 square feet. Featuring new homes built in the modern spirit with modern high-technology features and the ultimate in energy efficiency; these homes have plenty of open floor plans with sprawling yards. There are three home and lot types to choose from: the Gardens, the Estates and Lamond Hill. 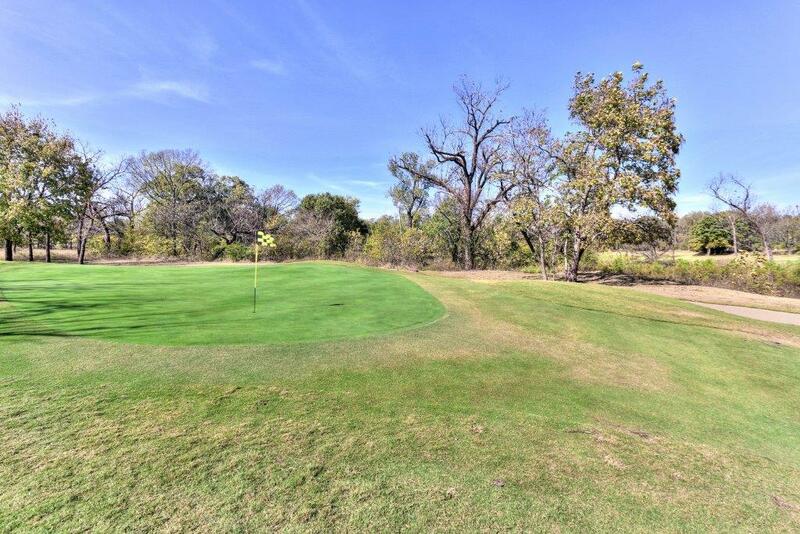 Fairfax Estates is best known for playing host to its signature 18-hole golf course, featuring a pro shop and newly renovated practice area, clubhouse, plenty of dining options, an outdoor patio, conference rooms, and great room. Fairfax boasts other area amenities as well, such as an aquatic center, community sports areas, full size-soccer field, rolling hills and park areas, waterfalls and plenty of green spaces. Fairfax is served by the Edmond Public School District, rated the best in the whole metro area. The high schools in particular have a high graduation rate and high rate of students enjoying National Merit Honors. The neighborhood is served by Centennial Elementary school, Central Middle School, and Edmond Memorial High school (map updated for 2016-2017 school year). Medical care is within easy reach for residents of Fairfax. 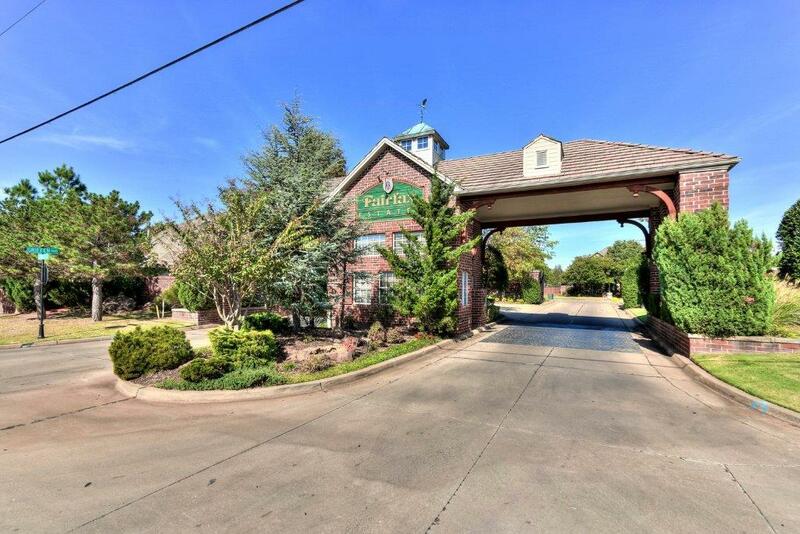 INTEGRIS Health Edmond is just a few miles away featuring the very best in equipment and services, including a full-service emergency department, comprehensive diagnostic imaging services, and labor and delivery services. Mercy Edmond I-35 is also close by, boasting outpatient surgery, imaging, pharmacy and fitness center. Fairfax is serviced by the city of Edmond for all of its public services and utilities, including water, sewer, trash, and power. For natural gas, Fairfax gets its product from Oklahoma Natural Gas. For TV, phone, and Internet, Fairfax relies on AT&T and Cox. The Fairfax Homeowners Association was established in 2002 and continues to ensure a high quality of life for its residents. The Covenants, Conditions, and Restrictions (CC&R’s) outlines the plan of development, property rights, membership, maintenance, insurance and casualty losses, administration, assessments, architectural standards and use restrictions, rule making, and other general provisions. Click here for a link to Fairfax Estates’ CC&Rs.